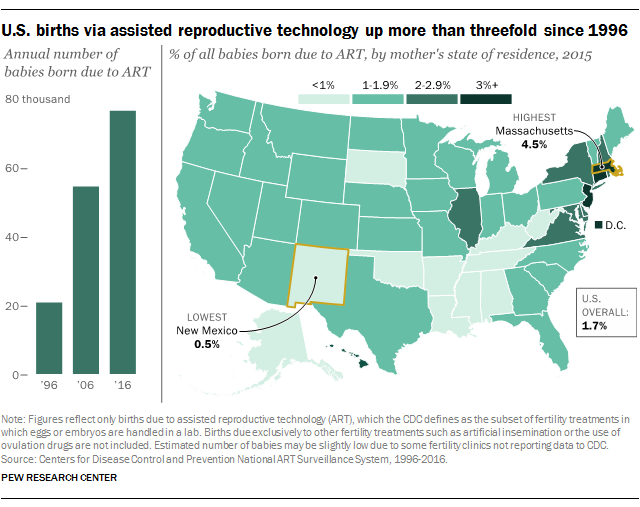 Four decades after the birth of Louise Brown, the first “test-tube baby” conceived via in vitro fertilization (IVF), 33% of American adults report that they or someone they know has used some type of fertility treatment in order to try to have a baby, according to a new Pew Research Center survey. 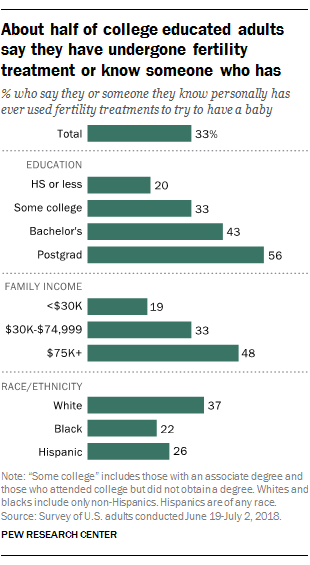 Among women ages 35 to 44, those with at least a bachelor’s degree, those with incomes of $75,000 or more and those who are white are particularly likely to say they have personally undergone fertility treatments or to have had a spouse or partner do so. 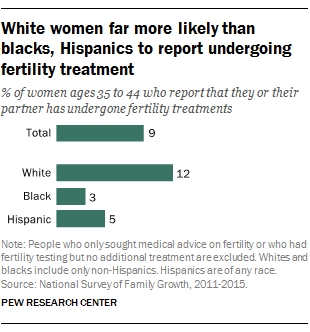 For example, among white women in this age group, 12% say they’ve undergone this type of treatment, compared with 3% of black and 5% of Hispanic women.